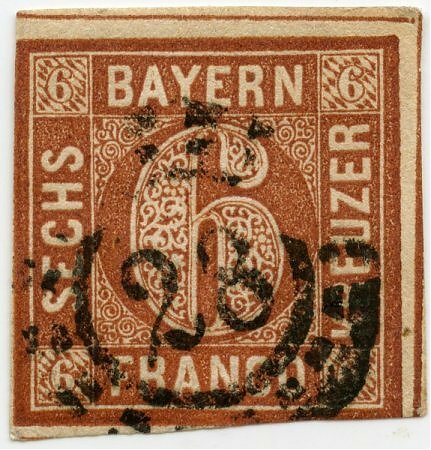 Bavaria 1850 / 620, no. 4 II, 6 KR. Brown, used. 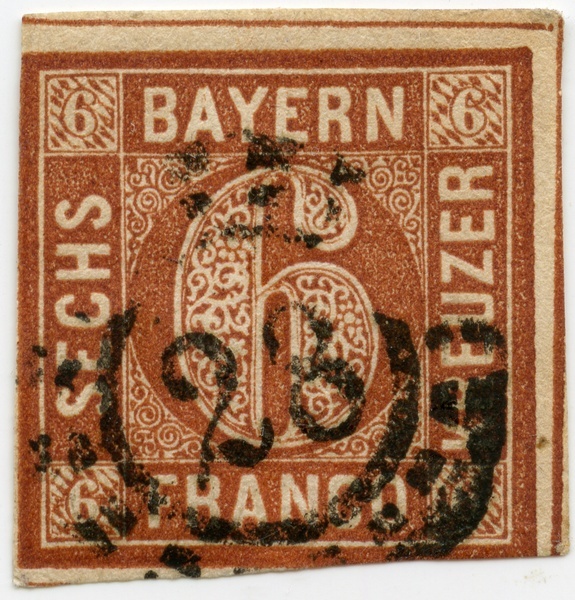 Tied by open millwheel postmark 28 from Augsburg. Stamp left and at the bottom partly touched.